Chris joined the District Brewing Co. sales team 3 years ago(1168 days). During this time, he has worked hard to help us grow as a company, build brand awareness and of course “test” a few products along the way. Being a small company, we often need people to step outside of their regular day-to-day duties. 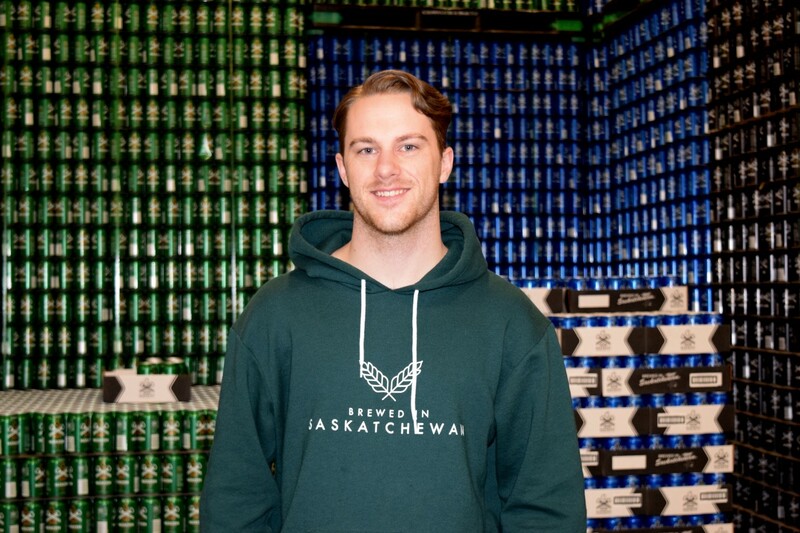 Chris has always been ‘Johnny on the Spot’, whether it’s moving kegs, working the canning line or taking score in a ping-pong tournament, Chris completes each job with enthusiasm. We’ve been so lucky to have Chris on our team and are sad to announce that it is time for him to leave us (traitor). Favourite Beer: Festbier Marzen, West Coast Wheat is a close 2nd though! Best Event: Savour the Southeast in Estevan. What’s he going to miss about working at District? Thanks for all your hard-work and dedication. Good luck on all your future endeavors!